Dove is inviting women from across the country to share their real beauty using the hashtag #IamRealBeauty. 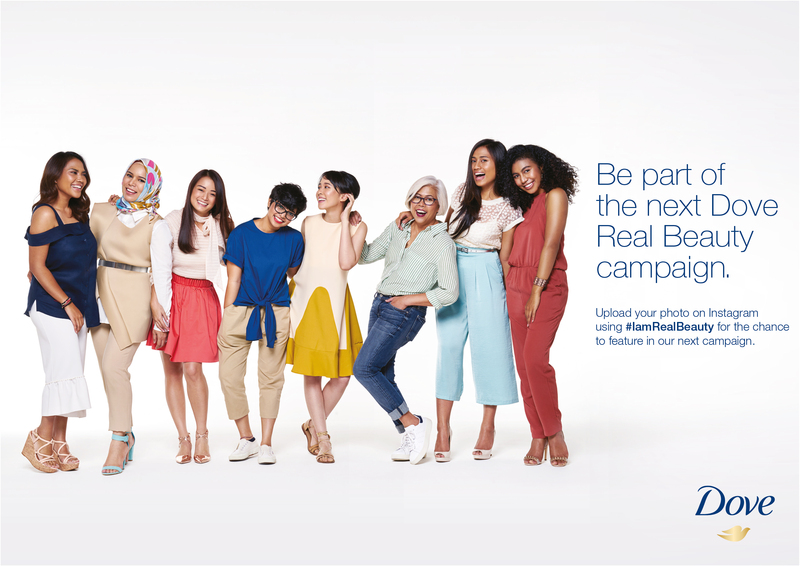 Also held in conjunction with Dove's 60 Years of Real Beauty, Malaysian women will now have an opportunity to be cast in the brand's next Real Beauty campaign. Dove is reminding the women of Malaysia that there is not just one face of beauty, but many and they want to hear from you. Diversity in culture and ethnicities is a pride of the nation; Malaysian women should be confident of the various definitions and portrayal of beauty in Malaysia. So, while Malaysia celebrates 60 years of independence, the women of Malaysia can show what real beauty means to them by posting a picture on Instagram with the hashtag #IamRealBeauty, to show the true diversity of Malaysian beauty. Every skin tone. Every hair type. Every age. Images posted using #IamRealBeauty will be collected and some women will be taken forward to feature on Dove.com/my and the brand's 2018 advertising campaign.